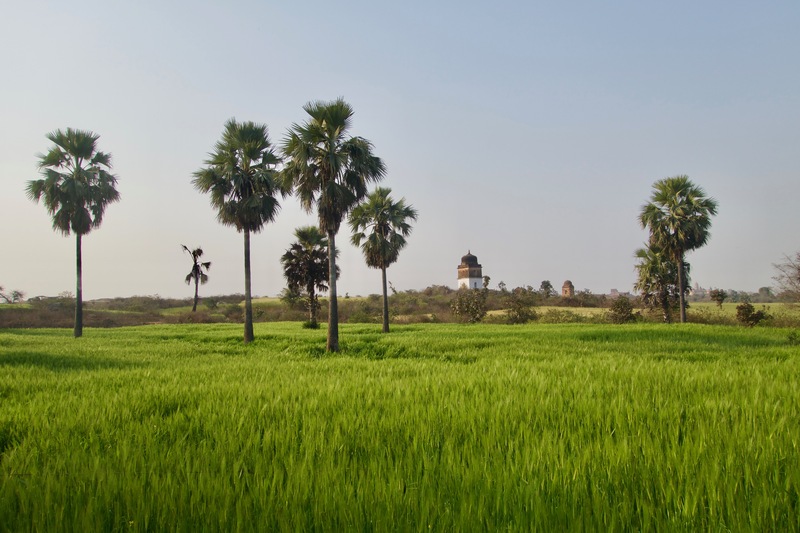 Wheat fields in Orchha, India. In the spirit of Thanksgiving, I thought I’d share how I practice gratitude in my life. I’ve tried a few different things over the years, this is what I do right now. In total, these habits only take me a few minutes each day. At the end of my daily meditation I do a few standing bows. I start by standing with my hands in prayer near my chest. Then I slowly kneel and bow down so that my feet, knees, forehead and hands (my hands are a little above my head) are all touching the ground. Then I return to standing position. That’s one bow. I hold each position for a couple breathes. While bowing I try to notice whatever physical sensations arise—the air against my face, the pressure of the ground supporting my body, the feel of the carpet between my fingers. Sometimes I also think of things I’m grateful for in that moment. Other times I might simply hold the words “thank you” in my mind. I don’t know if it does, but I suspect, like smiling and being happy and body posture and being confident, that there is also a connection between bowing and being grateful. Either way, I enjoy expressing my gratitude physically. I try to do this before every meal. We hold hands (I eat most meals with the same person) and then we take a few moments to look at and appreciate our food in silence. If either of us feel inspired to say a few words of thanks we will, otherwise we’ll stay silent. While looking at my food I try to think of all the people who played a part in bringing it to my plate, including those who planted it, harvested it, transported it, processed it, sold it, cooked it, served it as well as the earth which provided it. When I stop to think about it, it’s truly mind boggling how many people even a simple meal involves—how interconnected and interdependent we truly are. If I’m eating with someone who is not familiar with this practice and it’s appropriate, I’ll explain it to them and ask if they’d like to say grace. Otherwise I’ll just take a moment to appreciate my food in silence. It only takes half a minute, but this simple gesture can change the entire mood around a meal. I’m still a little shy about inviting others to participate but the feedback when I do has always been really positive. When I find myself appreciating a quality in someone else or reflecting positively on something they’ve done—for me or for others—I make the effort to tell that person so if it’s possible. It costs me little, but it can mean a lot. The majority of the ways we likely influence the world remain invisible to us. It’s so easy to mistake absence of evidence for evidence of absence. Doubt—that what we’re doing matters, that anyone cares, that it’s worth taking the risk to connect—can dilute even our most determined efforts to make a dent in the universe. We all deserve to be recognized. Celebrating people for the good they do encourages more of it. Even small acts of kindness can go a long way.